An idea can sound great in the conference room, but when you get it out there... not so much. Sometimes what you thought was a great idea can go terribly wrong in so many ways. Whether it’s how it's executed or how it's perceived, the end result can be a complicated mess that can hurt your brand. Today, marketers are exploring new channels and new media. Competition is intense and as you chase after that viral video, or trending tweet... marketing fails happen. In fact, even the biggest, most recognizable brands make them. And these blunders can be incredibly costly. As a marketer, you should learn about these fails not just for entertainment, but also to avoid making similar mistakes. We'd have loved to have been in on this creative meeting. The end result of which was arguably one of the most spectacular marketing fails of the year. The spot was ridiculed on social media, parodied on SNL, and quickly pulled. Advertising agencies used it to eviscerate Pepsi's in-house ad group by saying the fiasco never would have happened if only they'd used an agency. The Marketer’s Takeaway: Don’t comment on major social issues, like racism and police brutality, by trying to sell your product. This minimizes the experience of victims and comes off as wildly insensitive. Dove had a win with the positive body image “Real Beauty" campaign featuring real women in a positive light. It was an empowering campaign. 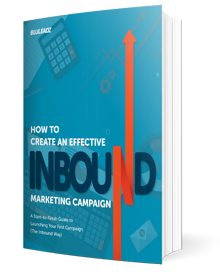 In fact, the campaign has been running for 15 years and is widely noted as one of the most successful marketing campaigns. The company is striving to help reinforce a positive body image for women. Then, Dove got their hands dirty. In England, they released limited edition packaging designed to present diverse representations of female bodies. Their packaging compared women's figures to abstract, shapeless soap bottles. Simply put, the packaging sent the wrong message. The release became a punchline and a source of genuine concern on social platforms like Twitter and Facebook. They only released 7 different shapes to choose from, forcing women to choose the bottle that matched their shape. Instead of reinforcing a strong body image, it ended up increasing self-consciousness. The Marketer’s Takeaway: Keep your overall goal in mind when you’re developing campaign strategies. If you lose sight of this, your efforts could be wasted and even damage your brand in the long run. Unilever had a bad year. Another Dove ad posted on Facebook was a four panel image showing a young African American woman removing her shirt over three panels. The fourth panel shows a young white woman. Oops! What it got was pretty ugly reviews and plenty of well-deserved heat on social media. Dove apologized (for the second time in 2017), and it was strike two for Brad Jakeman. The Marketer’s Takeaway: Consider the implications behind your messaging. For example, in this instance, Dove is implying that the African American woman is ‘dirty’ and the white woman is clean. While that is obviously not their intention, the implications are bad. Walkers is a UK based snack company that implemented a social media campaign where customers submitted selfies for an opportunity to win tickets to a major sporting event. Unfortunately some people submitted pictures of dictators, serial killers, and criminals. The end result of their failure to audit the pictures before publishing them created a PR nightmare for the company. The Marketer’s Takeaway: When building a campaign centered on social media involvement, you need a system in place to prevent inappropriate, offensive submissions. Seems like advertisers in the UK took a lot of heat for a bunch of really bad marketing ideas in 2017! This time it was McDonald’s. It's hard to offend anyone with fast food, but McDonald’s pulled it off with spectacularly bad taste. The spot shows a young boy talking with his mother about his dead father. Well, it turns out that one of the things they both shared was a love for filet-o-fish sandwiches. The Marketer’s Takeaway: Storytelling is an important aspect of your marketing strategy. But you need to be tasteful with how you use stories to market your products and services. Wendy's got into a tweet battle with customers over whether they really use fresh beef. At first, it wasn't a big deal, but it eventually escalated. Then Wendy's responded by posting a meme. No big deal right? Except the meme they posted was “Pepe the frog.” If you don't know what that is, Pepe was used by white supremacists in the U.S. Presidential election in 2016. The images were pulled, but not before screenshots were taken, and while Wendy's quickly realized their mistake, the damage was done. The Marketer’s Takeaway: If you’re going to use pop culture references in your marketing, do your research. Make sure you understand the context of your reference. In the year where the misdeeds of Harvey Weinstein and #MeToo dominated the news, Ford ran the worst possible visual for their ad campaign. It featured three women who were bound, gagged, and stuffed in the trunk of their new Ford hatchback. The ad was pulled, and Ford had to issue a public apology because many people rightly found the ad offensive and felt that it encouraged violence against women. The Marketer’s Takeaway: Timing and taste are two important considerations you need to have on top of mind. This depiction of women is both tasteless and poorly timed. It should have never even been pitched, and it just so happened to come out during one of the most important moments in social justice. We wanted to cover the biggest marketing busts in recent memory. This Sony ad ran in 2006, but it reemerged just last year as it made some headlines. The print ad in question was promoting Sony's white Playstation Portable device. Sony decided to promote the new product in a... well, questionable way. On the giant ad, a pale woman with white hair is seen grabbing a black woman by the face.The white figure looks upset and determined while the black figure looks very submissive. The text reads "Playstation Portable. White is Coming"
There are tons of better ways to promote the launch of your new product. Sony was quoted as saying, "the images that were used in the campaign were intended solely to highlight the contrast between the different colors available for the PSP." The only reason this old marketing fail for Sony reared its ugly head in 2017 was … you guess it a single tweet that went viral. The Marketer’s Takeaway: This is recurring issue in these horrible missteps -- don’t draw attention to racial differences, plain and simple. Typos aren't usually a big deal, unless you're the Department of Education! They tweeted a W.E.B. Du Bois quote that included his name misspelled. Then, they responded with an apology that happened to include the word ‘apology’ misspelled. Not a great entree for controversial Education Secretary Betsy DeVos. In terms of marketing fails, this one got her and the department torched! The computer systems at the DoE are old, but Betsy next time, try using spell check! In what was a great marketing idea, Burger King created a campaign to run on smart devices that activated the device to read a list of burger ingredients posted on Wikipedia, the crowdsourced online encyclopedia. This was a great idea before hackers altered the Wikipedia post to include ingredients, like cyanide. As a result of the hack, the campaign was pulled, and a potentially innovative marketing channel was temporarily sidelined. This is particularly unfortunate because the concept of this campaign was pretty smart. The Marketer’s Takeaway: Similar to the Walkers selfie incident, when you’re creating a campaign that incorporates user-generated material (like Wikipedia updates or selfie submissions), prepare for the worst. Face the facts: Trolls exist, and they will look for ways to sabotage your efforts. Build your strategy in a way that prevents these troll attacks. It’s always important to check out a car before you purchase it. Audi turned this idea on its head. A mother-in-law walks on the altar and starts checking out her soon-to-be-daughter-in-law. She pinches her lip, pulls on her ears, and looks at her teeth and tongue, before nodding in approval. Then, the tagline reads, “An important decision must be made carefully." Unfortunately, this commercial misses the mark by objectifying women and reducing their value to that of a vehicle. It was far more offensive than it was humorous. The Marketer’s Takeaway: Funny wins big, but don’t sacrifice your brand’s values and beliefs for a few chuckles. Remember, comedy is subjective. While you may not intend to offend your audience, if you’re addressing a touchy subject, you might cause a backlash and hurt your brand and reputation. Customers who participated in the Boston Marathon in 2017 received a very poorly worded email from the major shoe and sports attire company. The subject line simply read, "Congrats, you survived the Boston Marathon!" In the context of any other fitness event, this might seem harmless. In fact, many people use this kind of phrasing when they refer to completing an event. For example, some might say they survived their first Crossfit class. But this message is on the heels of the 2013 Boston Marathon bombing, which killed three people and injured more than 250 people. Needless to say, many people were offended. They immediately issued an apology, but the damage was done. The Marketer’s Takeaway: Always consider alternative meanings behind the copy you use in your marketing campaigns. This blunder could have easily been avoided if another person or team proofread the email body as well as the subject line. Following the devastation from a horrible hurricane season last year, Puerto Rico was left in shambles. Mark Zuckerberg used Facebook’s VR app Spaces to tour through an NPR-produced 360 video of Puerto Rico. While the intention behind this Facebook Live video was to show how much aid Facebook was providing the Puerto Rico, it came off as completely tone deaf. The avatars on screen sported cartoonish smiling faces. The general reaction was that Zuckerberg seemed to be exploiting the disaster to show off Facebook’s VR capabilities. The Marketer’s Takeaway: This is another example of a huge company exploiting an important moment in history to promote their products and services. If you’re creating content that’s relevant to such events, do so with genuine interest in educating your audience about the gravitas of the situation. Remember, consumers aren’t stupid. They will see right through your efforts to see what you’re truly striving for -- capitalizing on a PR opportunity while real people suffer. This is another marketing fail that was caused by bad timing. Airbnb launched their ‘floating world’ marketing campaign, which included an image of a water-themed house sitting on the surface of water. Well this campaign launched on August 28th, 2017, when Hurricane Harvey was engulfing Houston. The Marketer’s Takeaway: Campaigns are often planned out months in advance. It’s easy to overlook these slip ups, but it’s important to consider national and international events before your campaign begins. Review your calendar regularly, and check for other poorly timed campaigns. The issue is that gentrification also leads to displacement of residents, typically lower income minorities. Ink Coffee was met with big crowds of protestors and even vandalism. The Marketer’s Takeaway: Again, when you’re making jokes, look at them from all angles and perspectives. In this case, the sign seems harmless to most people. But to residents who have been priced out of their childhood homes, that sign felt like a slap in the face. In Nivea’s Middle East division, the company posted an ad for their “Invisible for Black and White” deodorant. The image depicted the back of a woman’s head with long, dark hair covering her white outfit. Obviously, this was interpreted as racially insensitive. In fact, white supremacist groups jumped at the opportunity to applaud Nivea for their messaging. The Marketer’s Takeaway: This ad targeted social media followers in the Middle East region, but it quickly went viral everywhere. The wording was clearly not thought through. When you’re running a campaign in a specific region, don’t forget that your messaging can (and in some cases, certainly will) be shared with markets in other parts of the world. Thanks to Rick and Morty fans, McDonald’s brought back their popular Szechuan sauce for just one day. The problem: McDonald’s severely underestimated the popularity of their sauce. This led to widespread customer outrage, forcing some locations to get the police involved. Some sauce packs were being sold for nearly $300 each. The Marketer’s Takeaway: Plan to win big! When you’re promoting something, make sure you conduct research so you have a good estimation of what to expect when your audience responds. For a short while, the nation was captivated by a single audio clip. People hear either ‘yanny’ or ‘laurel.’ It was a fun, lighthearted debate, but the U.S. Air Force took it to a dark place. This tweet was widely considered insensitive, and the Air Force eventually took it down and apologized. The Marketer’s Takeaway: When there’s a lighthearted, fun debate going on, keep the fun going! 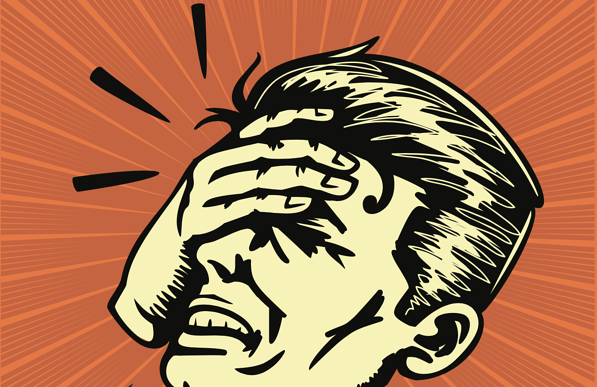 Leverage it to build brand awareness, but don’t make tasteless, insensitive jokes. While it's important to try to stand out with your marketing, it's easy to have a great idea go south when using new channels, and even traditional ones. The bottom line, before you publish, post, or print take a close look at your message. Review your copy and take a hard look at your campaign in terms of current social context. Oh, and always get an educated second opinion before publishing or going live with any campaign! Editor’s Note: This post was originally published in January 2018. It was updated in August 2018 for accuracy and comprehensiveness. 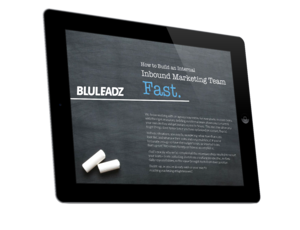 Create an Effective Inbound Campaign & Start Generating Leads Today!